As a Northside student, there is a good chance that you have, at some point, been wandering through the English-wing after school and overheard a group of students speaking at a mind-numbing pace while others look on, contemplatively. You will be happy to learn that there is in fact a method behind the madness and it has led two of Northside’s fiercest debaters to the Tournament of Champions. Luther Snagel, Adv. 800, and Aidan Kane, Adv. 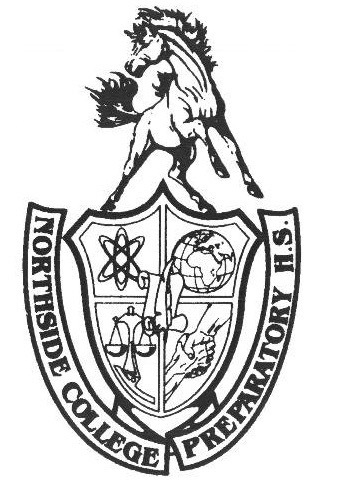 808, are only the second team in Northside history to make it this far in their debate season. Here is an oversimplification of what they said: Tournaments are held around the country in which pairs of debaters compete for one of the top slots on a bracket. In each round, one pair of students is the “affirmative” team and will offer up their position on a topic. It is then the other pair’s job to negate their argument to the best of their ability. If a pair of students ends up being one of the best at a tournament, they will get what is called a “bid.” If the pair get two bids, they earn the opportunity to attend the Tournament of Champions, in which the best teams from across the country compete for the top spot. In looking ahead, the duo made sure to mention that they have another competition coming up in February. Snagel says, “Alex Pinheiro (Adv. 907) and Magalie Ortiz (Adv. 911): shout them out in your article. They’re also going because that’s a tournament where we have a pretty good shot at getting another [bid] for them, and another one for us because we might as well.” Kane then adds, “If that happens it’d be the first time two teams from Northside went to the Tournament of Champions at the same time.” When asked about how they feel headed to the Tournament of Champions, Snagel said, “There’s a lot to look forward to and a lot to be scared of.” Kane said, “I feel satisfied because making it to the Tournament of Champions in and of itself is an accomplishment.” For their closing statements, Kane made sure to add, “Be a plug! Join debate it’s not too late.” If you have a chance, wish these two good luck at their upcoming competitions!